Sony, one of the world's leading makers of image sensors, combined its top new technologies to achieve the high resolution and image quality in history. This revolutionary 35mm full-frame Exmorª CMOS image sensor collects light with record efficiency to achieve high sensitivity, a wide dynamic range and an incredible new level of realism while significantly reducing noise. The exceptional performance of the image sensor was achieved through various advanced sensor features. First, compressing circuitry height dramatically increases the amount of light collected by each pixel, while photodiode expansion technology increased the size of the photodiode at every pixel to improve the sensor's dynamic range and further raise sensitivity while maintaining low noise and achieving a high S/N ratio. Two new technologies bring out the full performance of sensor and lenses. Detail reproduction technology prevents the overemphasized outlines that plague most digital images. Diffraction reduction suppresses the effects of diffraction, which causes points of light to appear blurred especially at small aperture settings (large F-numbers). By taking the aperture setting into account, this technology faithfully restores clarity to points of light and other fine details, for beautiful landscapes, portraiture, and more. 16-bit image processing and 14-bit RAW output help preserve maximum detail and produce images of the highest quality with rich tonal gradations. 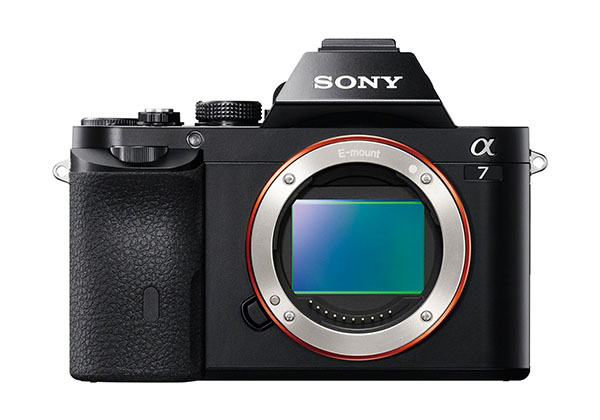 The 14-bit RAW (Sony ARW) format ensures optimal quality for later image adjustment (via Image Data Converter or other software). Durability-enhancing measures include sealing around the buttons and dials, as well as a protective double-layered structure that tightly interlocks panels and components. Create movies of amazing clarity that play extra smoothly by recording them at Full HD resolution (1920 x 1080 pixels) in the AVCHD Ver. 2.0 (Progressive) format - at the extremely high frame rate of 60 fps. The α7 also supports 24p movie recording, which gives your movies a subtle look that movie lovers everywhere associate with the cinema.